ENCINITAS — The cars stretch along Highway 101, from South Coast Highway 101 from D Street to J Street. This section of highway is ideal for the annual Classic Car Nights car show, where car owners exhibit their beauties to spectators, often driving their classic cars along the scenic roadway overlooking the Pacific Ocean. But the event can’t be labeled as simply a “car show;” it is much more than that, explained Doug Jones, the event’s organizer. 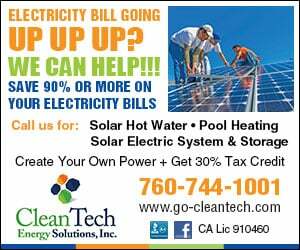 It is an immense cultural aspect of Encinitas and its community, he added. 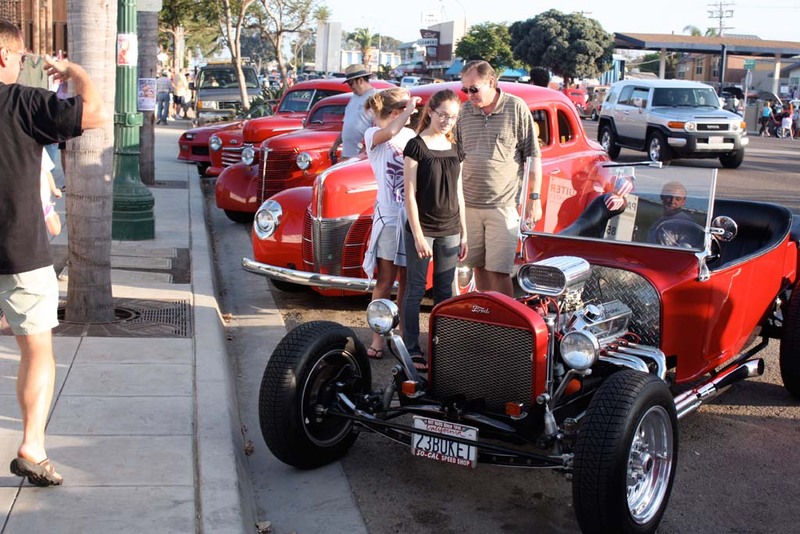 The Classic Car Nights car show (occurring every other Thursday during the summer) is one of many events that highlight the sense of community that Encinitas has to offer. Many auto enthusiasts restore classic cars for this event, including Ernie Lee, a Bonita resident and who, with his 1947 Ford Woody restoration, is a regular attendee at the event. Those who view the event are surprised and delighted by many of the cars being shown, Jones said. For example, since many of the cars are classic, someone might feel nostalgia for that type of car because their dad may have owned that car, or they saw that particular model in a movie. This emotional attachment to the cars draws people of all types in, he added. The crowd that comes to the event is extremely diverse. In the past five years, the car show has become increasingly more family-oriented than ever before. Many factors had to do with this, Jones said, especially the new “silly” awards that are given out. The, “That car that looks like my matchbox car” award adds to the fun and festivity of the event, explained Jones. And what makes this event different from other car shows is that the cars don’t stay put. Often the show is referred to as a “cruise,” meaning that viewers can see the classic cars in action as they cruise down the highway. Visitors can enjoy food, live music, and the many surrounding shops. The cruise is an important event in Encinitas since it also brings in a lot of money for the shops surrounding along Highway 101. Originally called “Rods and Woodies,” the name changed in 2011 to “Classic Car Nights” in order to be more inclusive. In 2007, when Jones became the official organizer of the event, and before the show established itself, many of the surrounding businesses didn’t understand it, and were hesitant to allow the vehicles to take up precious parking spaces. It took Jones and a few other DEMA members to educate the shop owners on the car culture, and explain to them that the event would draw in plenty of business. After this, the shop owners agreed to have their parking spaces open for the event, and it paid off for them immensely. The cruise is extremely popular still, mostly because there have been no problems with it. The fact that there haven’t been any problems, also contributes to drawing more families and varieties of people to the show. The Classic Car Nights cruise continues to innovate. Jones believes that the event will continue running due to its popularity throughout Encinitas. This year, the event is dedicated to women and their classic cars. The event, which began earlier this year, resumes again June 20, July 18, Aug. 15 and Sept. 19, from 5:30 to 7:30 p.m.
Chloe Costello is an intern with The Coast News.